This Friday’s big release is Partition: 1947 which chronicles the events that led to the partition of India and Pakistan back in 1947. 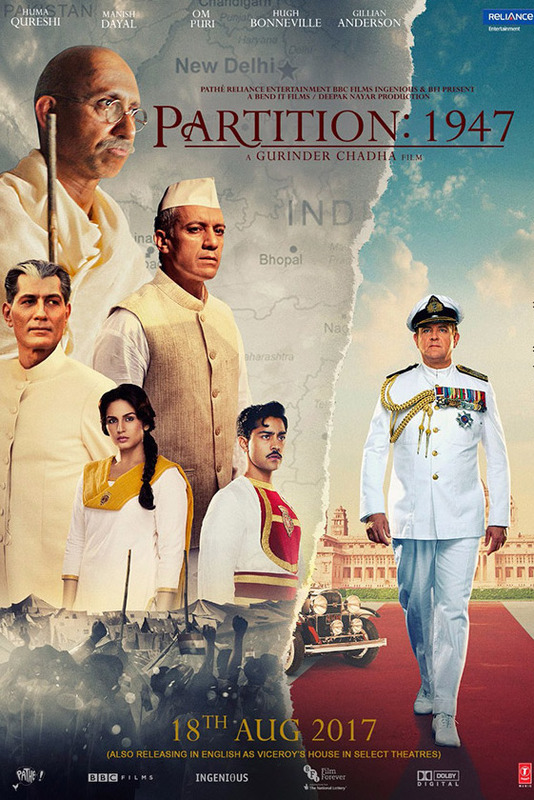 Director Gurinder Chadha has made no two bones about the fact that she managed to procure some secret documents that turned out to be an eye opener of sorts when it came to the real story of the partition. This isn’t all as she also brings to fore the humane side of Jinnah, Nehru and Gandhi in the film. As a matter of fact Partition: 1947 is also one of those rare films where Jinnah is not really shown as a villain of the piece. Does Gurinder wish to elaborate on that? “I deliberately set out to make a film where you could understand each character’s perspective. It is too easy to represent someone as a generic villain. Jinnah had complex relationships with Nehru and Gandhi. He thought he was doing what was best for Muslims in India,” reveals Gurinder. On the other hand she chose Neeraj Kabi [Ship of Theseus, Detective Byomkesh Bakshy] in the prime role of Mahatma Gandhi. What really made her reach out to him? It would be interesting to see how audience responds now once the film hits the screens this Friday. 16 queries in 0.490 seconds.